This is a surprise for my elderly parents. My mother is in early stages of dementia, although, she should be tickled by the performance. Our living room space is limited, so plan accordingly. This is a dinner for the employees who have been at the company 20 years which will be inducted into the club. we have a dinner and entertainment. This is a family engagement event that brings all families together to share their family traditions for the holidays. Who do you think you’re callin’ a dummy? Oh… you’re just looking to hire a ventriloquist and their dummies for your next event? What a good choice! You’ll be amazed at how these ventriloquists can manipulate their voices without even moving their mouth! And they are a perfect entertainment choice for basically any type of event. Kiddos will love a family friendly and even educational ventriloquist for their next birthday party, and you and your friends can enjoy a ventriloquist with more adult comedy at your next private or corporate event. Search for Ventriloquists in Indianapolis, Indiana above. 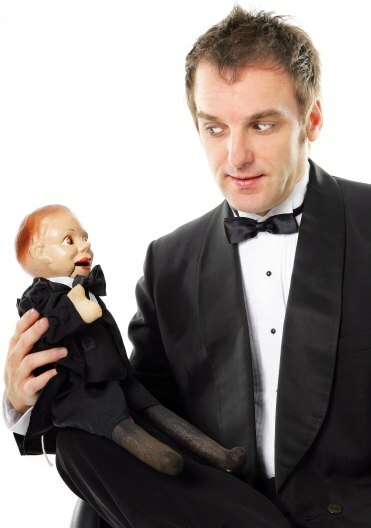 Please note that these Ventriloquists may also travel to Beech Grove, Bentonville, Southport, Speedway, New Palestine, Clermont, West Newton, McCordsville, Camby, Whiteland, Zionsville, Fairland, Avon, Brownsburg, Greenfield, Finly, Boggstown, Fortville, Mooresville, Fountaintown, Maxwell, Westfield, Bargersville, Pittsboro, Whitestown, Brooklyn, Ingalls, Pendleton, and Lebanon.